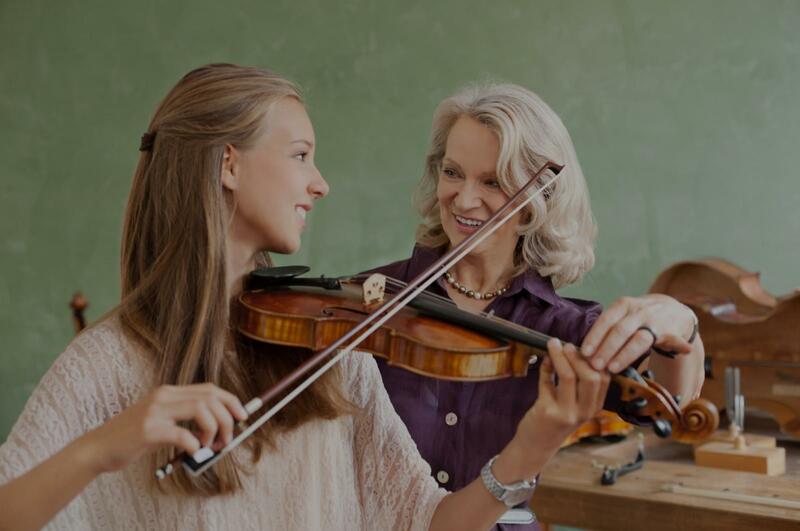 Papillion, NE Violin Lessons Near Me | Fun Classes. Top Tutors. Check out some of our most popular teachers near Papillion, NE including Bellevue, Omaha, St Columbans, Council Bluffs and Louisville. Bow technique, accurate intonation, correct form, music theory and history, interpretation, terms. I have 50 years of teaching experience, from beginners to advanced students. I also teach the people no one else thinks are teachable because I work with people from where they are and find their best learning styles. Several of my students are now professional musicians, but that's not everyone's course. I teach every age range from 3-83 and everything from classical to country-western. And I teach every orchestral and band instrument, and guitar, bass, and drum kit and some instruments you've never heard of. I also teach voice, pop, rock, opera, doesn't matter to me. Important Note: I will no longer take new students that want lessons every other week, beginning Nov 1. Inconsistent lessons, especially with younger students, allows them to forget too much between sessions. to EVERY endeavor whether it's music or math or soccer. I require practice on the student's part. You will be able to play recognizable songs within your first month. You tell me what you or your child wants out of music lessons, and I will tell you exactly how to get it. Lesson will happen in a space next to the family room which is upstairs. Teacher has a collection of instruments, music stands, couches for seating. Park on the street or driveway. I'm flexible. I have taught everything from country western guitar to classical guitar, from Jazz trumpet to orchestral audition music, from barbershop singing to Broadway musical singing. I have even taught ballet. I cater my methods to the student's best learning style. I really like this teacher and most important the student Lily loves her that is most important for her to enjoy the teacher and the lesson she is very excited about learning the violin! I had a good experience with my instructor. She's very knowledgeable and patient. The area where instructions are given are a little cramped. Acquiring good habits and building confidence are invaluable when it comes to studying an instrument and when playing with others. Each student brings their own unique personality to the lesson process and therefore requires a different approach to learning. I encourage students to rely on their individual strengths regardless of any specific method or philosophy of teaching. It is extremely rewarding to see the joy as students not only reach milestones, but ultimately become their own best teachers! Hello! My name is Lauren and I teach violin. Ive been playing violin for 10 years, and I am so grateful to be able to make music my career! I currently study music education at James Madison University, and I plan on pursuing a masters degree afterwards. I am a violinist and music educator who currently studies music at James Madison University. I am from Fredericksburg, and for the past 5 years I have been teaching in the area. I currently serve as assistant concertmaster for the JMU Symphony, as well as perform in a string quartet, the pit orchestra for the opera, and a group called Monticello strings which is a faculty-student ensemble. I occasionally travel to a local middle school where I help teach an after-school violin class. When I am not teaching music, you will most likely find me in my kayak. I love the outdoors, volunteering, and cooking. Can't find a teacher in Papillion, NE?